Like many of the current cacklecars, "The Poachers" has a solid west coast pedigree. 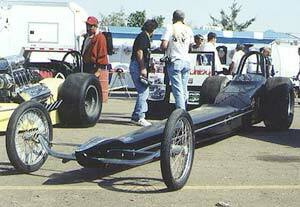 The car was originally built in 1969 for the late Jack McCloud by Frank Huszar at RCS (Race Car Specialties). 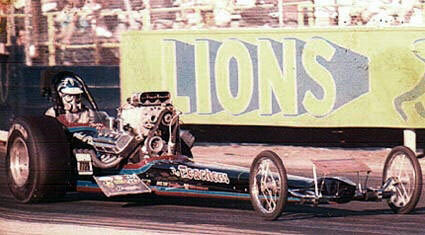 McCloud, had deep roots in the SoCal drag racing scene including a part in the "Force Clan". 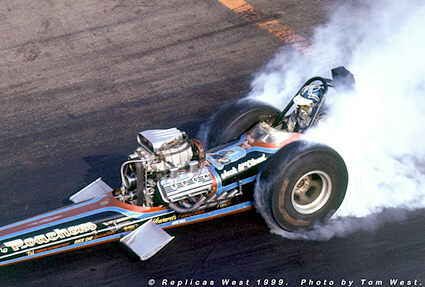 Jack and his brothers Jake and Don were related to John Force, the Beaver Bros. and the Condit Bros. so drag racing was a natural sport of choice. 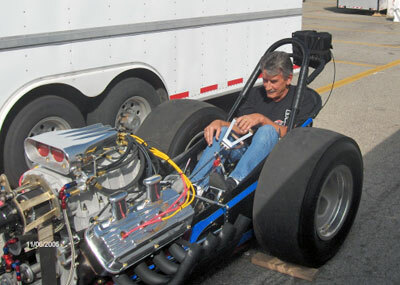 McCloud was in the majority of fuel racers of the era in that he was limited by funds so the car never ran on a regular basis. However, when it did run it always looked and performed on the A list. 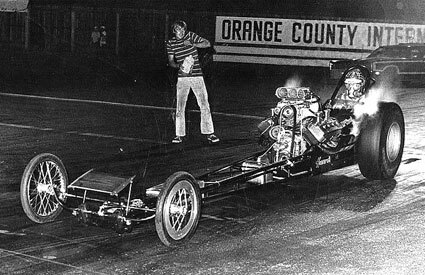 Walt Stevens was the original driver as seen here at OCIR in 1969 with its Hanna "shorty" body. 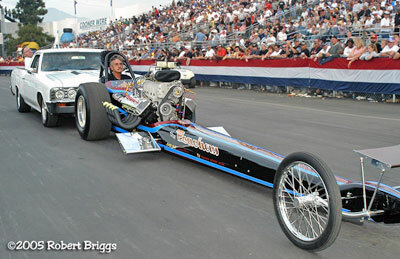 In the photo below car owner, Jack McCloud has just poured the VHT for a burnout. 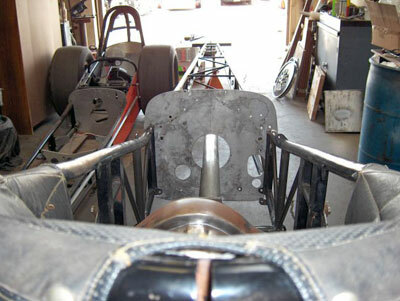 The car was lightly raced in 1970 and received a Kenny Ellis nose and new paint for the 1971 season. 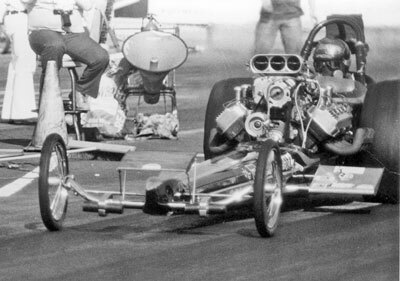 Stevens in the car at Lions in 1971. 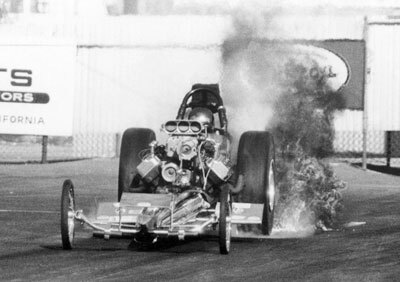 In late 1971 McCloud took over the driving chores himself when fire burnouts were all the rage and here is Jack doing one at Irwindale. 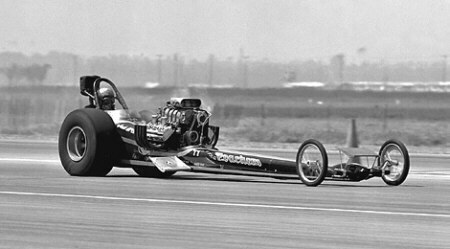 McCloud coasts through the traps at Bakersfield in 1971. 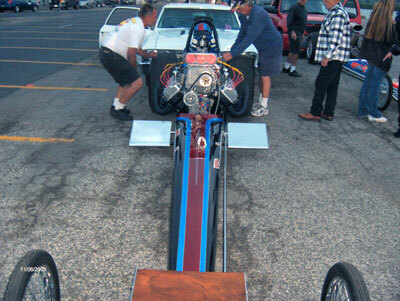 The car ran into the 1972 season and was one of the last front engine dragsters in competition. 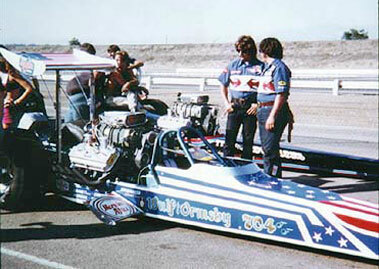 The car was sold in 1972 and basically disappeared until 1999 when Tim Calhoun from Louisiana bought it. The car had been update some (but not butchered). 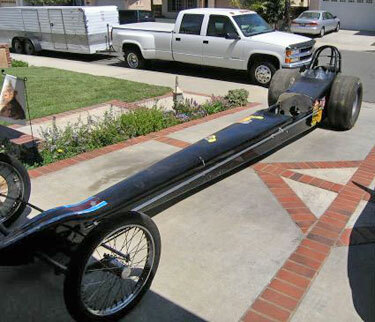 Rather than race the car Calhoun decided to try to find its history. 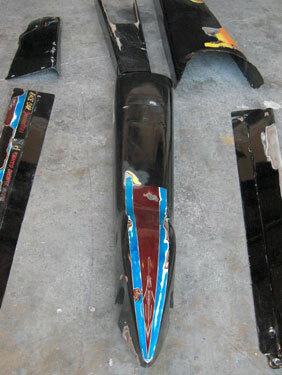 He knew right off that an RCS car with a Hanna/Kenny Ellis body wasn't something built in the last 30 years. 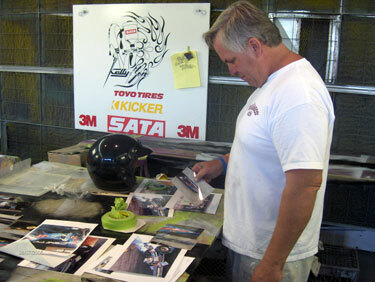 After cutting through several layers of paint, Tim uncovered the lettering Race Car Specialties and Poachers. The ID was confirmed by photos from WDIFL.com. 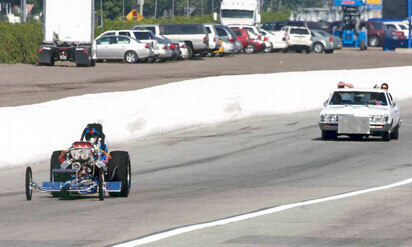 Calhoun made the long trip from Louisiana to the 2000 CHRR where Walt Stevens further confirmed its validity. Calhoun took the car home and had every intention of restoring it to its 1970 trim. 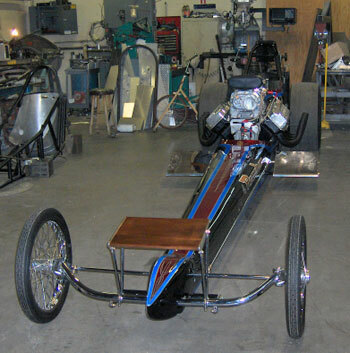 However, due to financial constraints the project never happened and the car sat untouched until 2004 when Paul and Pam Schavrien purchased it. 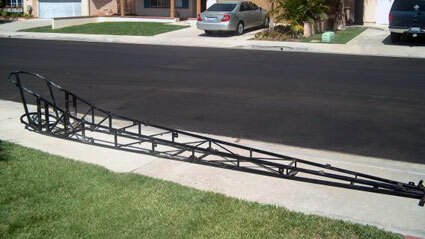 In August of 2004 Paul, Pam, Ryan Schavrien's new project arrived at their home in Rancho Santa Margarita, Calf. 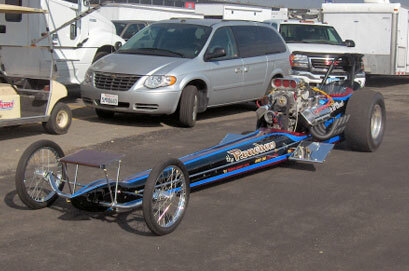 Paul prepared the Poachers for it's trip to Dyda Race Engineering in Gardena, CA for restoration in February of 2005. 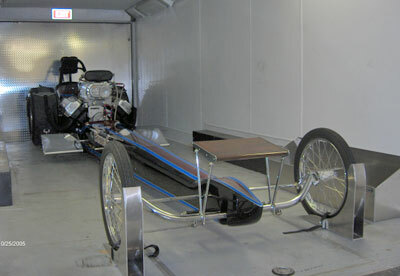 Schavrien was extremely impressed with the perfect restoration Dyda had done on the BankAmericar and was confident his would perfect as well. 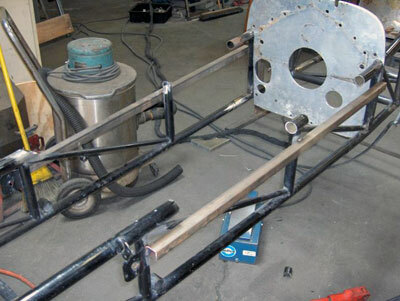 Dyda first repaired or replaced the damaged chassis parts. 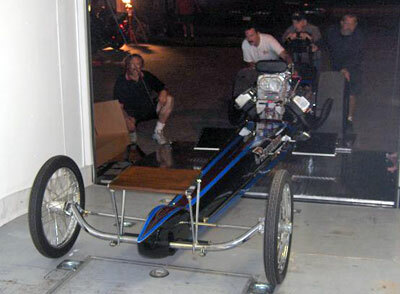 With the chassis repaired and the rear end in and aligned the car waits for the mock-up engine. 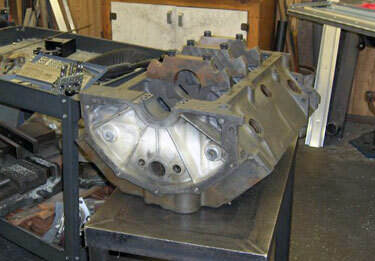 392 Hemi at Engine Dynamics getting ready for assembly. 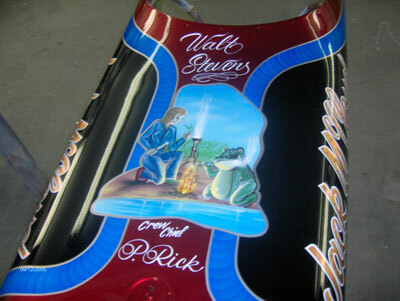 The original Poachers body panels at Kelly and Son Crazy Painters in Bellflower, California. ready to undergo the Kelly's magic touch! Mitch Kelly studying old photos of the Poachers car to make sure they get it right. 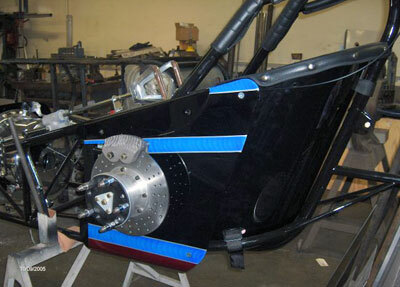 Mitch Kelly preparing the car for paint. 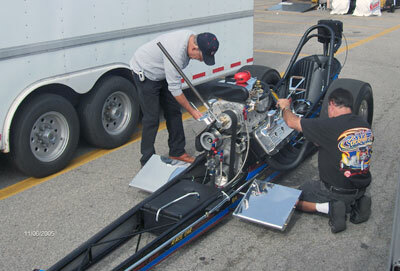 Tom and Mitch Kelly prepare the car for pinstriping. The old master at work... Tom Kelly working his magic. 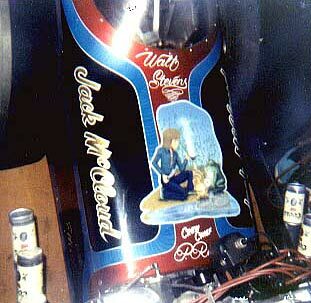 The original cowl art by Tom Kelly in 1970 was a reflection of Jack's life style. 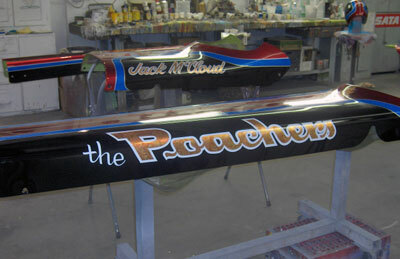 Kelly's beautiful recreation of the Poachers' Hash Pipe Hippie cowl art is now a tribute to the late McCloud. Poachers body panels painted and clear coated. 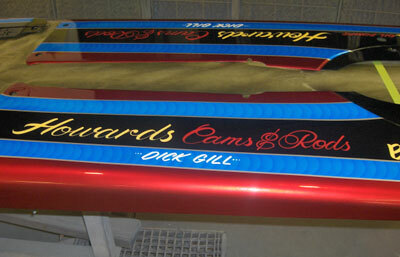 The incredible gold leaf laid down by the famous Tom Kelly. 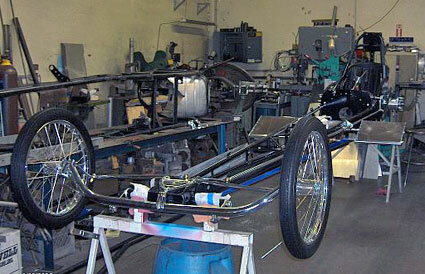 Back at Dyda's the car nears completion. 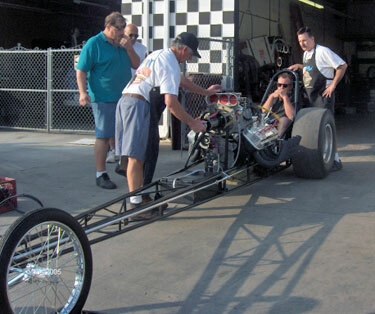 Paul (co-owner) at Mike Kuhl's adjusting the valves on this stout 392 Hemi in October of 2005. Bruce's beautiful restoration is unveiled and his work was done... time to go home. Mike Kuhl and Paul Schavrien getting ready to light the potent 392 for the first time. 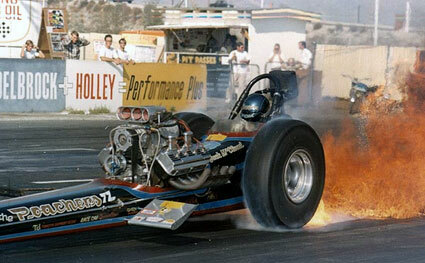 This was a day and a half before the cars Pomona debut at the NHRA World Finals Cacklefest. 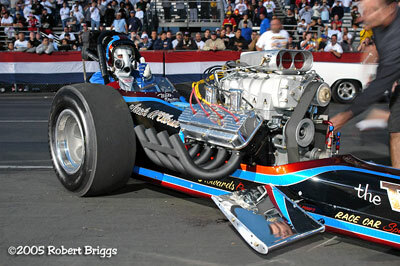 The Poachers looked great out of the trailer at Pomona Sunday morning at Pomona. 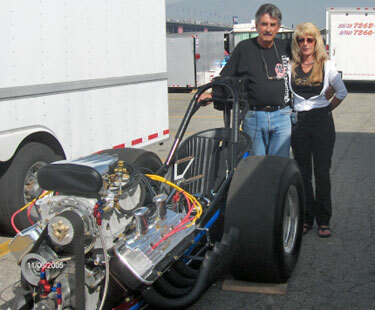 Original driver, Walt Stevens with Pam Schavrien prior to the warm up (below). Stevens, experiencing an emotional trip back in time, in a seat he occupied so many years ago. 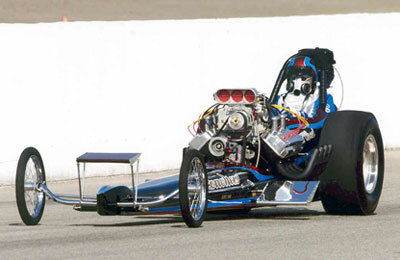 Prior to the actual Cacklefest the car did a "test" push start - which went flawlessly. 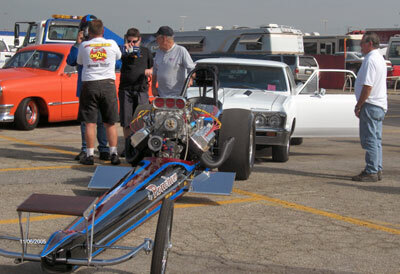 Paul and Father-in-law, Don Atkinson servicing the car before the Cacklefest. 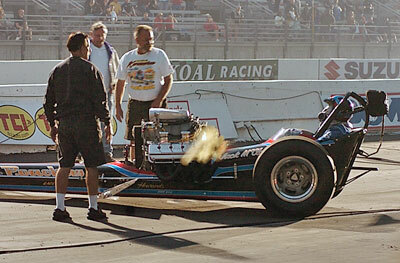 Walt Stevens in the pre-Cacklefest parade before the huge crowd at Pomona. Stevens suited up and ready to go, getting final instructions from Mike Kuhl. 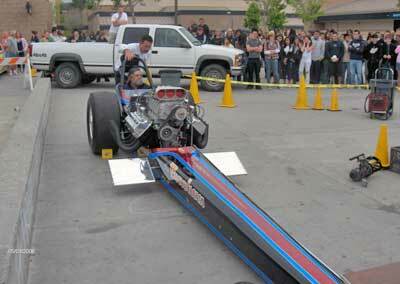 Show time - push start and ignition for the 2005 World Finals Cacklefest. 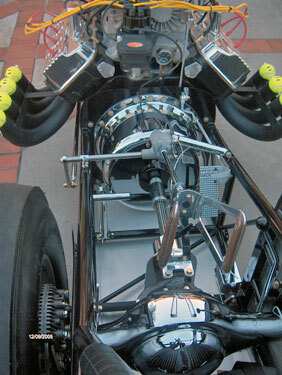 Parked in place in front of the stands, the 392 hemi hits on all eight. 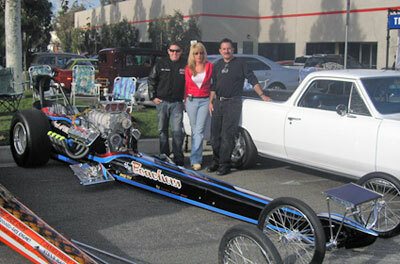 The proud owners of the beautifully restored Poachers - Paul, Pam, Ryan Schavrien at the John Force Christmas Show at Force Racing standing by Ryan's 1967 Chev El Camino push car. 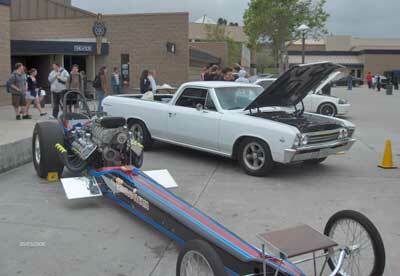 Poacher car at Trabuco Hills High School, Mission Viejo Ca for 1st annual car show. Ryan Schavrien is senior there. 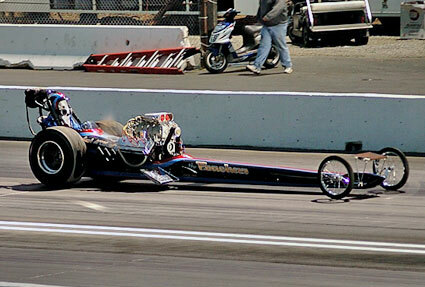 Paul, Ryan's Grandpa Don mixing the fuel, getting ready for the cackle! 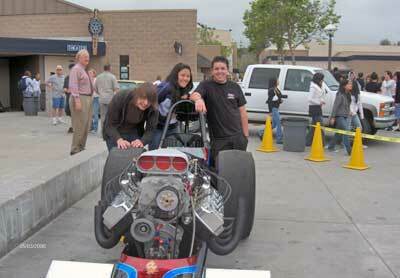 Car running with Mike Wehmer the schools Head Custodian in the car for the thrill of his life. Ryan, with his friends, Brian and Sarah after the successful fire-up! The school will never be the same!